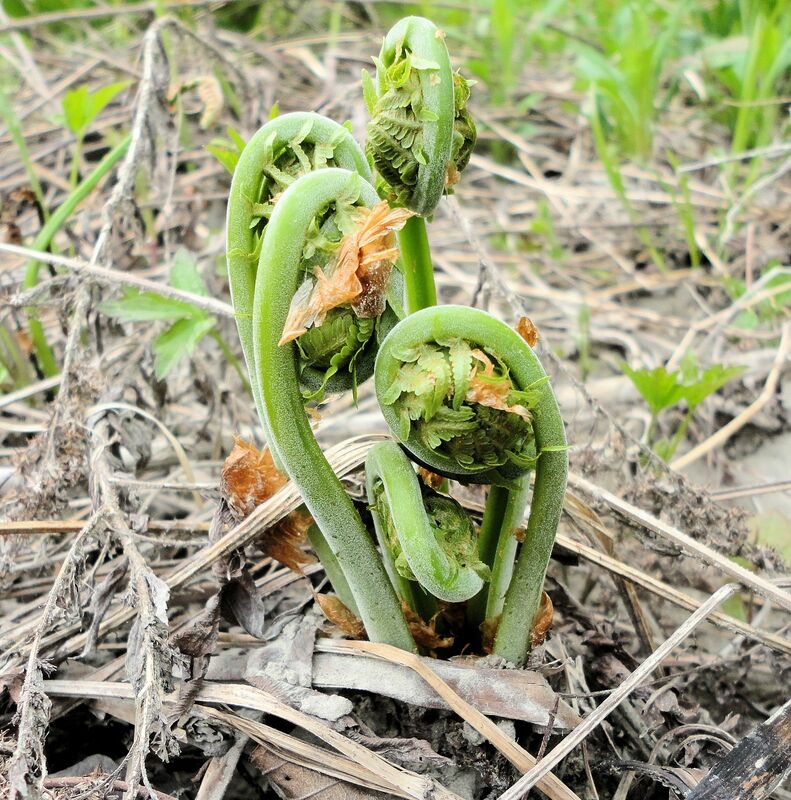 When the blackflies arrive, it is time to gather fiddleheads. The delectable, immature, coiled fronds or fiddleheads, of the ostrich fern (Matteuccia struthiopteris) are best found along stream banks after the spring flood waters have receded. Collect only the tightly coiled shoots, with short stems, they are the most tender and tasty. Always leave a few frond coils on each fern clump, taking no more than three shoots, so the plant is not stressed. Remove the brown, papery covering before cooking and rinse the vegetable well to clean away sand. Be sure to boil fiddleheads until they are tender and discard the dark cooking water. Some people recommend a water change half-way through boiling. The ferns contain toxins that must be removed by thorough cooking prior to consumption. Boiling is preferable to steaming to remove the toxins. The cooking is worth the trouble as fiddleheads are delicious with a flavor similar to asparagus mixed with spinach. I like them hot with butter and salt. For an authentic backwoods experience, cook fiddleheads with ramps, a wild onion. 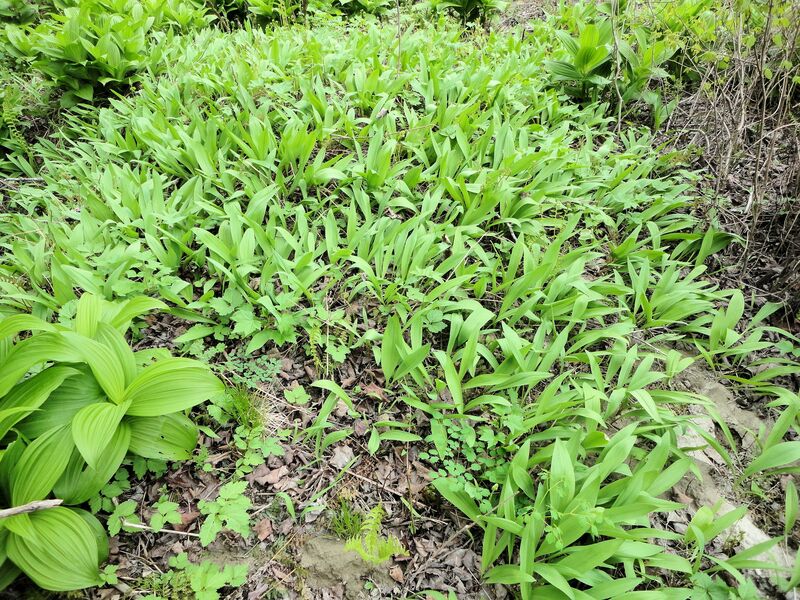 If you are ever walking in the woods of New England, perhaps on the way to collect fiddleheads, and suddenly notice an onion scent in the air, you have probably passed through a colony of ramps. These wild members of the onion family grow in rich, well drained soil of shady places on the East Coast from Canada to the Carolinas. The leaves are broad and don’t look like regular onions at all. They appear more lily-like. Ramps (Allium tricoccum) are sensitive to habitat disturbance and easily die out. When things go well for them, ramps will spread to cover a wide area. Ramps can be used like leeks. The bulb and attached leaves are removed from the ground. 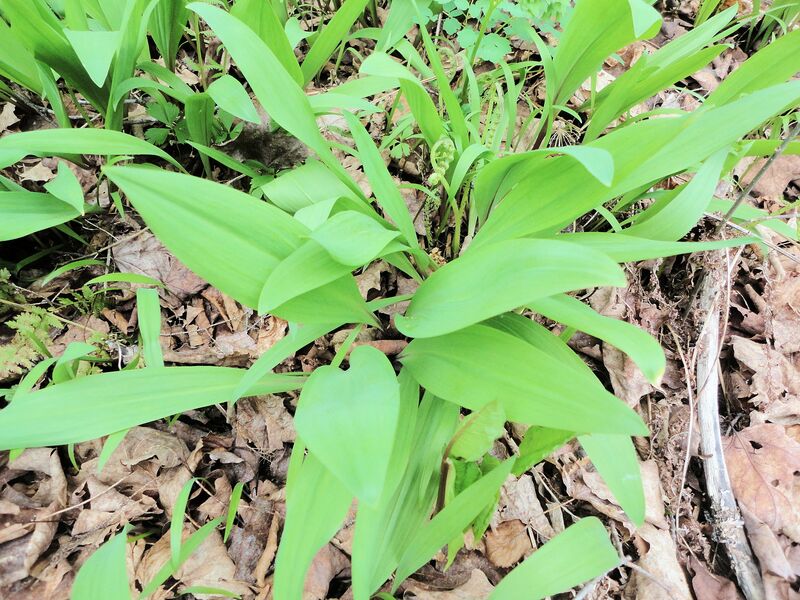 Young ramps leaves are tender and can be consumed along with the stem and bulb. Ramps have an onion-garlic flavor all their own. 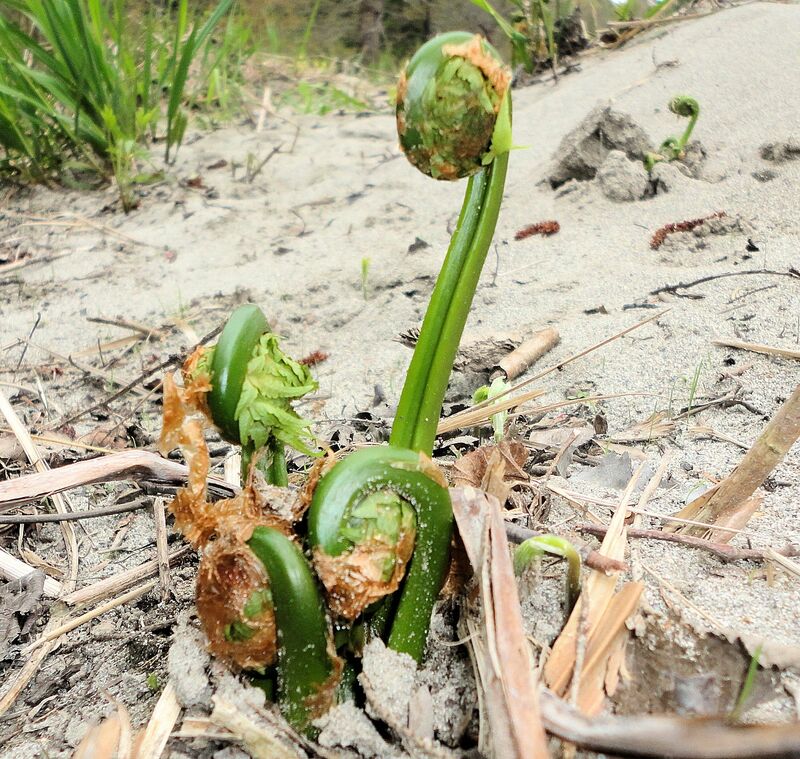 Add some to a bowl of fiddleheads and you will be eating wild cuisine. 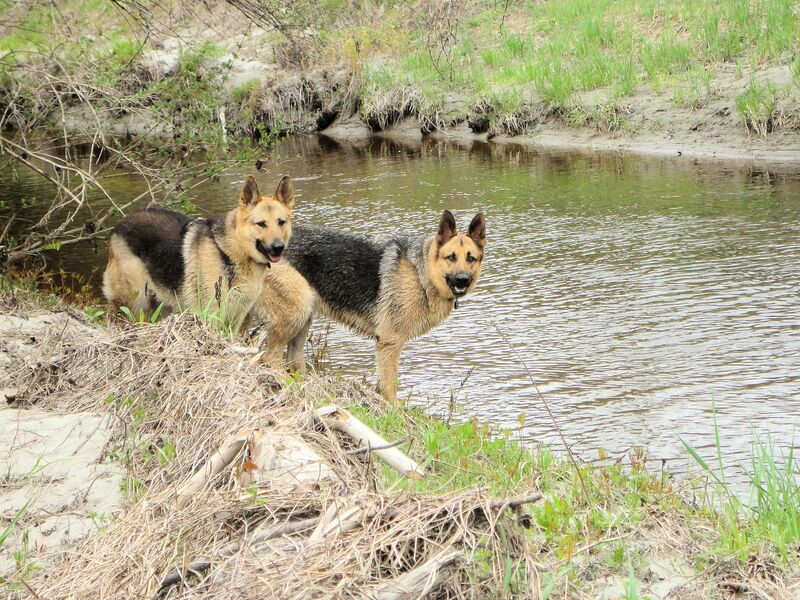 Here, my hiking pals, Holly and Otto, demonstrate the best location for finding fiddleheads. This entry was posted on May 23, 2014, in Uncategorized, Wild Plants and tagged fiddlehead fern, fiddleheads, forest food, ostrich fern, ramp, ramps, spring plants, traditional food, wild cuisine, wild food, wild leek, wild onion. Bookmark the permalink.